Taking place at the Singapore Indoor Stadium in Kallang, Singapore, “ONE: Heart of the Lion” featured 9 MMA bouts, three Muay Thai fights and one kickboxing contest. In the first bout of the evening, Engelen faced Meas Meul, 27, of Phnom Penh, Cambodia in an MMA bout in the featherweight division. The referee put a stop to the featherweight between Engelen and Meul at 0:39 of Round 1. The Dutch-Indonesian contender knocked out his Cambodian opponent. Beating Meul at “ONE: Heart of the Lion” improved Engelen’s professional MMA record to 7 wins and 4 losses. On the other hand, Meul now has 5 wins and 3 losses. A former Indonesian Fighting Championship Lightweight Champion, Engelen trains out of Tatsujin Dojo in Deventer, Netherlands and Alliance Indonesia in Jakarta, Indonesia. 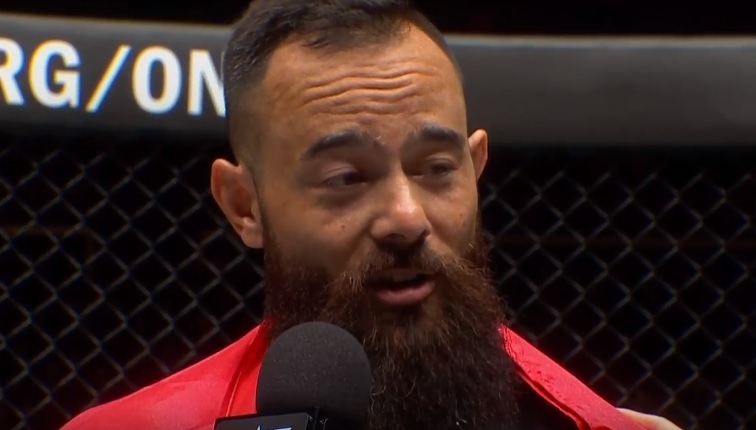 The first opponent he defeated in ONE Championship was the late Rocky Batolbatol of the Philippines.